In comments made at a recent defense technology forum hosted by the hawkish Center for a New American Security, the vice chairman of the Joint Chiefs of Staff as well as a former deputy secretary of defense warned that the United States will lose its military technological superiority to China in two years if it doesn't immediately move deeper into fields such as artificial intelligence (A.I. ), robotics, hypersonics, and big data. Former Deputy Secretary of Defense Robert Work painted a dire picture while calling for the US to put its $700 billion defense budget into "areas that really matter" in order to keep up with China, which he said is quickly becoming the world's leader in A.I., robotics, and machine learning — all of which the Chinese will harness toward "first strike" capabilities against US military networks. 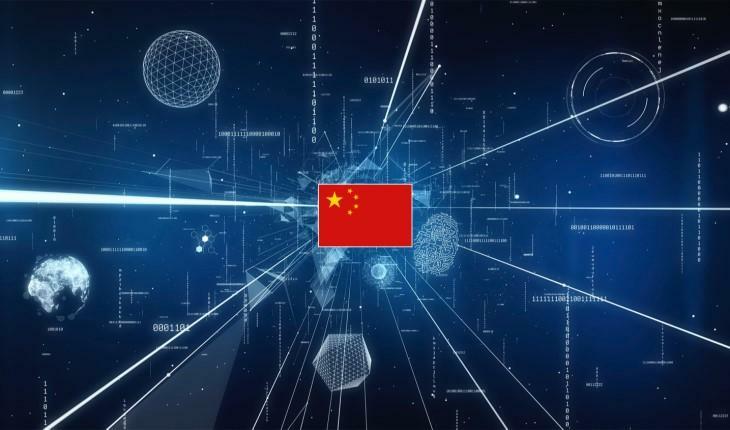 Work said the West should be alarmed as Chinese President Xi Jinping has as his stated military goal that his armed forces should be able to invade Taiwan by 2020, with the next major goal of becoming the uncontested world leader in artificial intelligence by 2030. 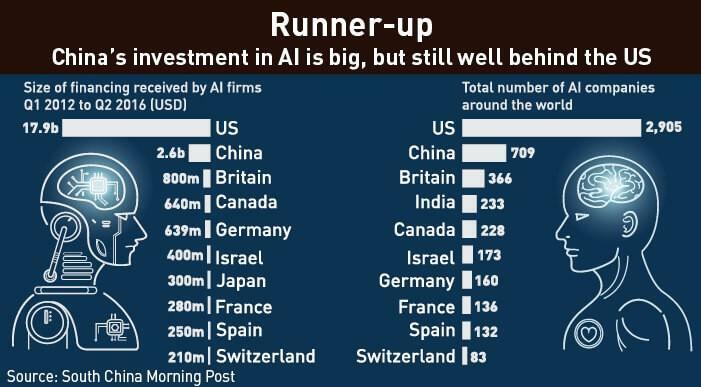 "They have a goal to try to be a world leader in AI by 2030," Work said of Chinese ambitions, and explained further while hypothetically speaking from Beijing's perspective: "Now they say AI will allow us to bound over the Americans. Artificial Intelligence is going to lead to a new military technical revolution... we want to be the aggressive first mover [in A.I.] and leave the United States in the dust." "The whole theory of Chinese victory is what they call system destruction warfare - they say look I'm not really worried about sinking 30 ships or shooting down 500 airplanes. If I can break apart the US battle network, then I will win" he said. And this is why, according to Work, A.I. has become their chief priority: "They think about taking down our network everyday - that is their theory of victory, and I just don't think we take that threat seriously enough." China unveiled its largest rise in defense spending in three years, setting a target of 8.1 percent growth over last year. The 2018 defense budget will be 1.11 trillion yuan ($175 billion), according to a report issued at the opening of China's annual meeting of parliament. The defense spending figure is closely watched around the world for clues to China's strategic intentions as it develops new military capabilities, including stealth fighters, aircraft carriers and anti-satellite missiles. According to Work a significant chunk of Chinese defense spending will continue to focus on how to "duel" American battle networks with the aim to “cripple an enemy’s operational systems [and the] internal links” that could launch a concerted, concentrated attack or response. Perhaps most interestingly, Work advised his audience to watch an HBO-Vice documentary series which investigates China's use of facial recognition technology and A.I. for 'social credit scoring' and population control, as an example how advanced Chinese systems are becoming. Selva said the Chinese have long employed a strategy of “learning, buying and stealing” from American and foreign companies, which saves on research costs in order to divert the money elsewhere. The desired end-goal “is outright technological superiority” across the board, said Selva. Both national security officials acknowledged that Russia is also heavily investing in non-conventional technologies aimed at disrupting US networks. “This race is one we have to win,” Work said of US competition with both China and Russia. However, for most average citizens in either America or China, news that there is in fact a "race" on to build SkyNet probably doesn't sound like such a good idea, no matter fears that the other side might be gaining an edge.